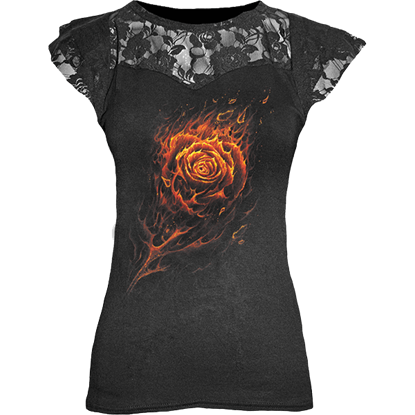 If you are looking for a stylish and comfortable gothic garment, this section of gothic womens shirts is perfect for you. 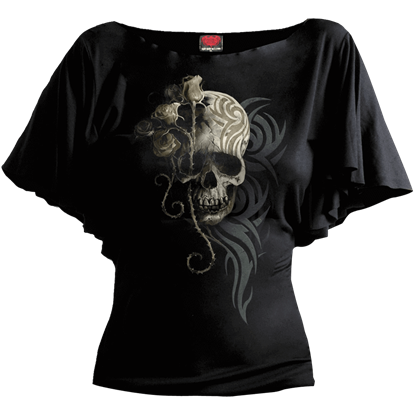 We offer a selection that ranges from casual gothic t-shirts to formal satin cravat shirts. Billowy black fabric, high lace collars, and mesh sleeves are only a few of the touches you will find here. 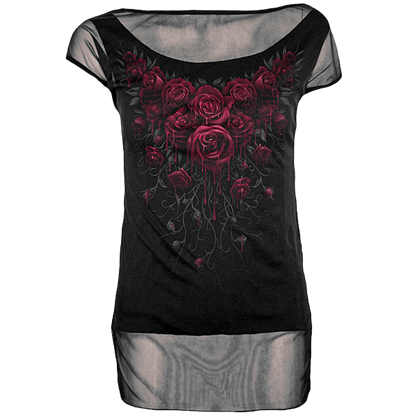 Many of the womens gothic t-shirts feature dark fantasy and gothic designs like fairies, fallen angels, dragons, and bloody roses. The sleeves in this category vary from cap sleeves to three-quarter sleeves, including a few off the shoulder gothic blouses, too. 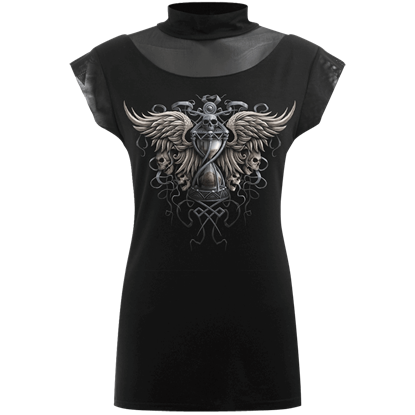 With sheer lace, metal studs, feathers, and lace-up sections, these gothic tops, gothic blouses, and gothic t-shirts make great additions to any style of womens gothic attire. 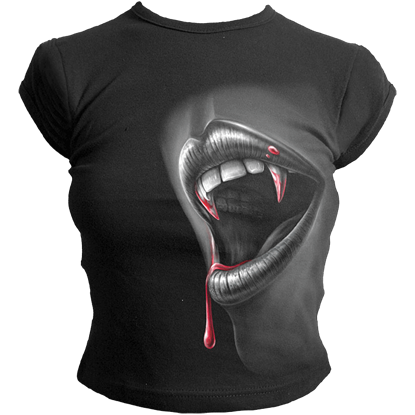 The vampire might just be the quintessential gothic creature, and in this shirt, that nocturnal beast takes center stage. 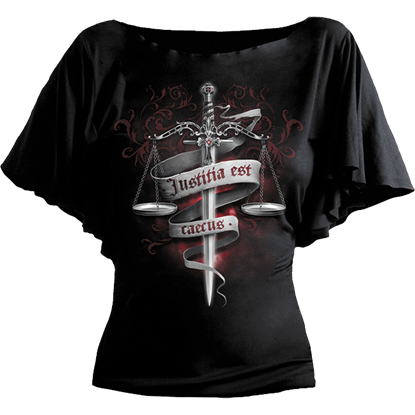 This Bite Fitted Womens T-Shirt is a garment that is striking in its design and exceptional in its comfort. Wickedly elegant, the Black Lace Long Sleeve Gothic Top blends a Victorian inspired structure with modern gothic styling, resulting in a blouse that radiates with eerie romance. Strategic sheer lace paneling lends extra allure.